25 year old Sherelle McKenzie has already begun to make an impact on the music scene. No stranger to the industry, her younger brother is one of UK music's most popular artist and producers of the moment; Labrinth, ShezAr appeared on his recent Atomic EP. Armed with a powerful voice, ShezAr was invited to perform on the BBC Introducing stage at the Radio 1 Hackney Weekender in 2012, and also took part in two national tours with Wretch 32, which also had her perform alongside artists including Ed Sheeran, Delilah, Chipmunk andAngel. ShezAr also collaborated on 'Curtain Call' with Sony Music signed Aiden Grimshaw. Dubbed a new soul sister for the 21st Century her bold and quirky fashion-sense and style are as noted as her voice, often appearing vivacious in colour or serene with sophistication. 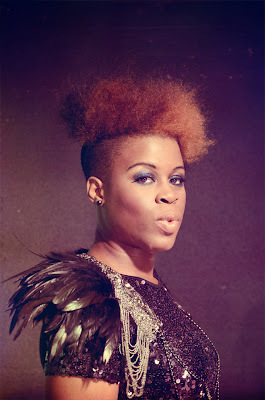 ShezAr releases new single Forever ahead of her debut EP release in Spring 2013.